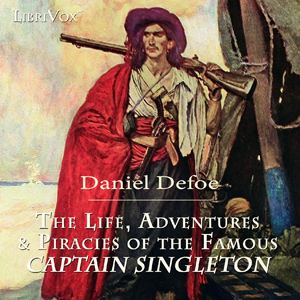 The Life, Adventures & Piracies of Captain Singleton is a "bipartite adventure story whose first half covers a traversal of Africa, and whose second half taps into the contemporary fascination with piracy. The story in itself is very interesting and holds your attention pretty well. Though it's difficult to be engaged with the halting manner of how the narrator reads. Other than that, was a good listen.